The Long Beach Aquarium of the Pacific recently teamed up with local schools and the National Oceanic and Atmospheric Administration to host “NOAA Day at the Aquarium,” an event showcasing student art. 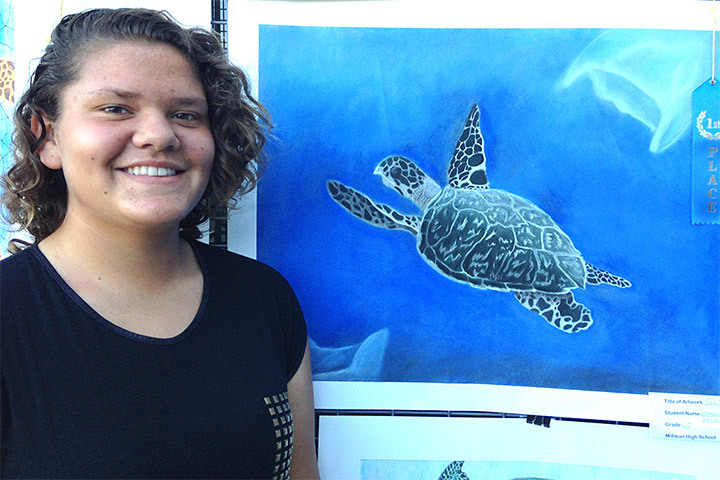 Ninety-five students from Jordan, Millikan, Reid and Renaissance high schools submitted endangered species-themed art. Students received free admission for the day. Judges awarded prizes. Earning first place for grades 9-10 was Millikan’s Isabella Aroz. Fellow Millikan student Cosette Trujillo won first place among grades 11-12.